Goat a party to throw and looking for an amazing appetizer to wow all the guests, and convince them you are a food connoisseur? 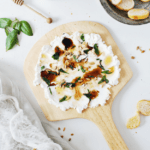 This goat cheese and basil dip with honey is for you. You’re telling me goat cheese is actually a hit? Yes. Yes I am. This stuff gets scarfed down in about 10 minutes after the serving platter hits the table! I love serving this with fresh crostini. Simply cut up a french baguette into 1/4″ slices, and lightly sprinkle with olive oil and garlic salt. Broil for a few minutes until golden and crunchy. 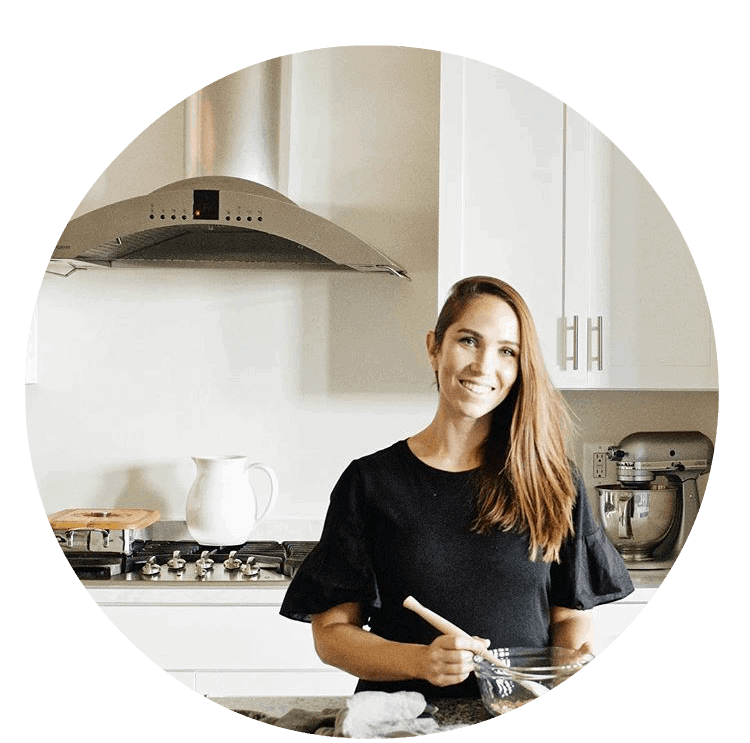 You can also serve it with your favorite crackers for a standard “cheese and crackers” dish if you’re keen on keeping up the classic entertaining tradition. I, on the other hand, like to pretend I live near the Mediterranean, using shnazzy words like “crostini” when given the chance. 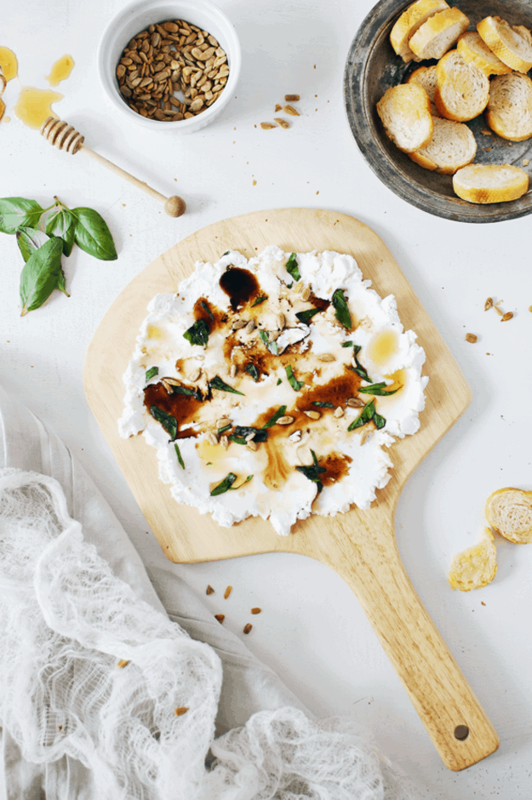 Serve this beautiful goat cheese and basil dip with honey at your next shindig and watch as the guests come back for seconds (and thirds). The recipe is below. Enjoy! Goat a party to throw and looking for an amazing appetizer? This goat cheese and basil dip is delicious and takes only 5 minutes to make. Spread the goat cheese on a serving platter or plate, using the back of spoon to make it smooth and even. 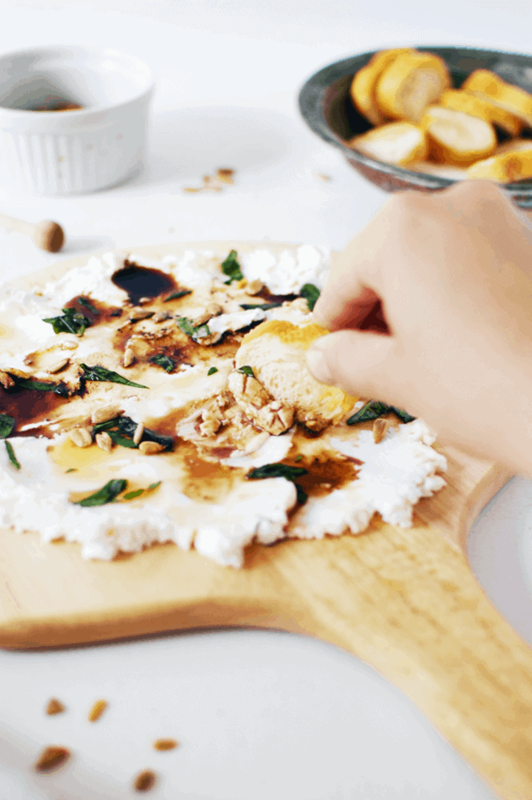 Chop or shred the basil leaves and spinkle on the goat cheese. 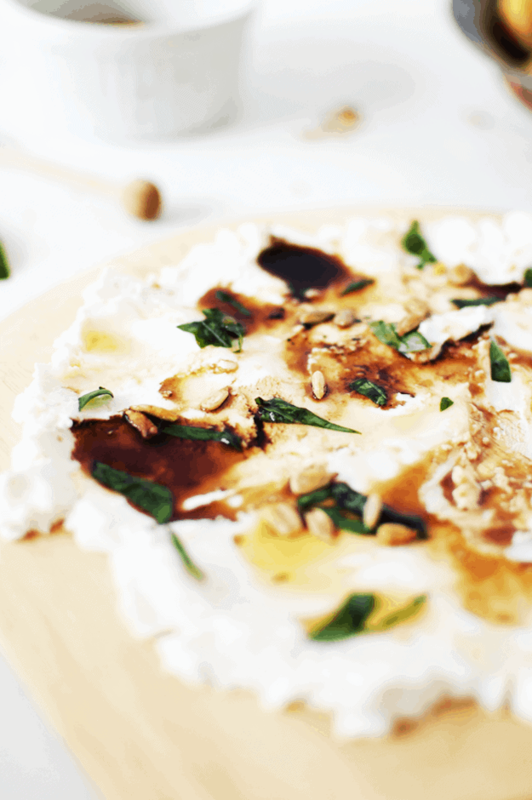 Drizzle the honey and balsamic vinegar evenly over the cheese, and top with sunflower seeds. Serve immediately with crostini and enjoy! I just tried it out as a dip with homemade potato kumara bread. It was outstanding. Thank you so much for the review and feedback, Christine! It’s definitely one of our favorites, too! To be totally honest, I don’t think it would taste as good with maple syrup. It’s worth a try though! Test it on a tiny piece and see how you liked it. You could also maybe serve it to them with a fresh fruit jam or chutney on the side. Something to balance the sweet and savory!